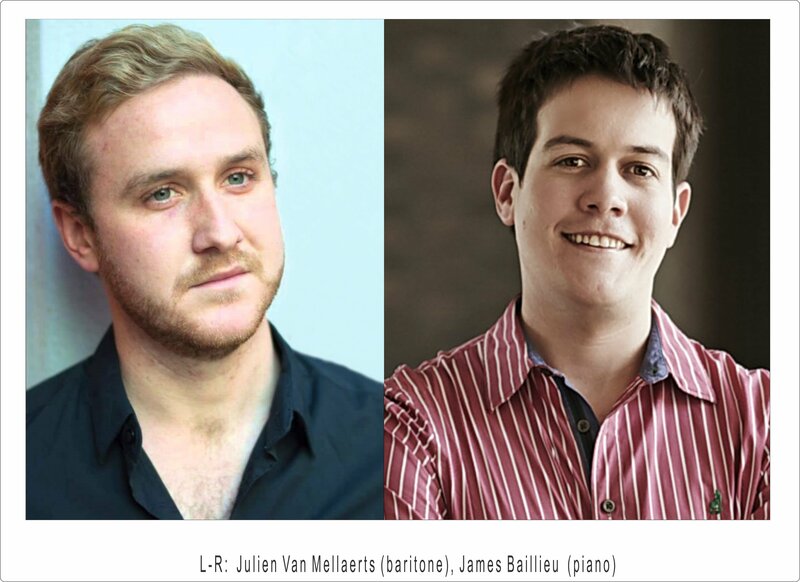 New Zealand baritone Julien Van Mellaerts studied at the University of Otago and the International Opera School of the Royal College of Music. In 2017 he won first prizes in both the Kathleen Ferrier Award and the Wigmore Hall-Kohn Foundation Competition. He also won the Maureen Forrester Prize at the 2018 Concours musical international de Montréal. He has a busy career of opera and concert performances and recently sang Schaunard in the NZ Opera production of La Bohème.